Coming to the fore in the early 1990s, bio art is neither media specific nor locally bounded. As an international movement, several sub-genres exist within this overarching term: 1) The iconography of molecular matter and reproductive technologies. 2) The employment of computer software, systems theory and simulations which investigate evolution, artificial life and robotics. 3) Finally, artist work with wet-lab mediums, including tissue engineering, plant breeding, and ecological reclamation. Of particular importance to bio art is to summon awareness of the ways in which altering nature also transforms social, ethical and cultural values in society. 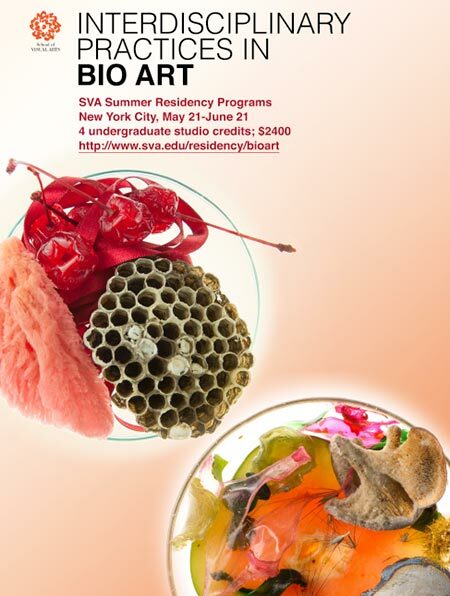 This residency takes place in the Fine Arts Nature and Technology Laboratory located in New York City’s Chelsea gallery district, equipped with microscopes for photo and video, skeleton, specimen and slide collections, aquariums, and a library. Demonstrations include microscopy, plant tissue engineering, molecular cuisine and the production of micro eco-systems. Field trips and visiting speakers will include artists, scientists and museum professionals. 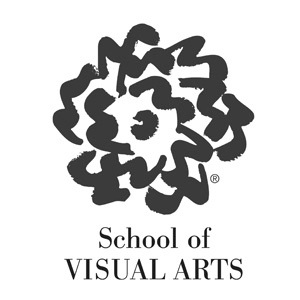 Students may work in any media, including the performing arts. From the Laboratory to the Studio: Interdisciplinary Practices in Bio Art will be led by artist Suzanne Anker, Chair of the BFA Fine Arts Department at SVA, and Brandon Ballengée, bio-artist. In addition, visiting speakers have included artists, scientists and museum professionals including Kathy High, James Walsh, Jennifer Willet, Genspace, William Mayers and Paula Hayes. NOTE: A portfolio is required for review and acceptance to this program.